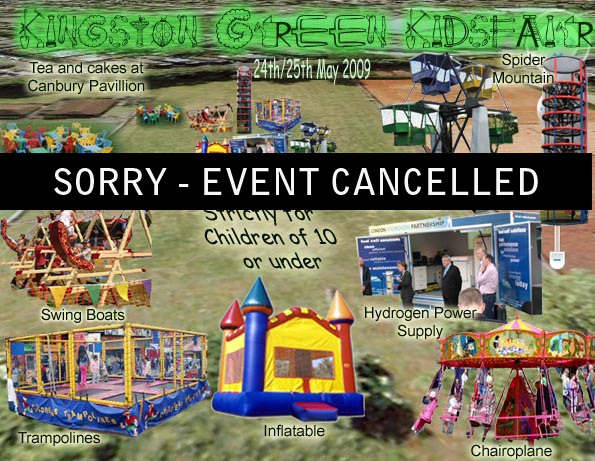 We are very sorry to announce the closure of Kingston Green Fair after 21 years. Enormous thanks to those people who have supported us, attended, worked for the day and enjoyed our programme. Don't Despair! Be Green - Get Active! opening times; 11 - 7pm on both days. Copyright © 2002-2009 Kingston Green Fair.